The PURCHASE and SALE of real property is often a complex mix of high finance and heightened emotion. Cordial and professional relationships with Realtors, mortgage lenders, title insurance companies, property inspectors, surveyors and other industry professionals greatly assists in ensuring that each transaction proceeds efficiently and properly to the satisfaction of each client. In handling every matter, Frederick A. Kiegel, Esquire will take time to explain each issue, answer each question, and pay special attention to eliminate unnecessary cost to each client. In each and every transaction, Mr. Kiegel will provide professional and valuable advice; will efficiently process your transaction, and will protect your rights every step of the way. Review of Contract for the Sale and/or Purchase of real property, including single/multiple family homes, condominiums, vacant land, new construction, For Sale By Owners, etc. Examine the status of title to property to ensure that a seller or buyer is providing and accepting good and marketable title, free and clear of liens or improper encumbrances. Assist in coordinating all property inspections; review all property inspector reports, and negotiate any property repairs, credits or adjustments prior to closing. Coordinate all mortgage financing, including satisfaction of lender conditions and disbursement of lender funds pursuant to lender instructions. Preparation of transfer documents including Deed, Affidavits of Title, 1099 Tax Reporting Forms, Survey Affidavits, Use and Occupancy Agreements, Escrow Agreements, etc. Professional attorney attendance at each closing to ensure all funds are properly exchanged, all proper fees are paid, all appropriate adjustments are accurate, and all documents are properly prepared, signed, exchanged and recorded. The base Legal Fee for the SALE of residential property ranges from $950.00 to $1,100.00 depending on the complexity of the transaction. The firm may also charge for out-of-pocket expenses such as postage, overnight mail, etc. if any are incurred. 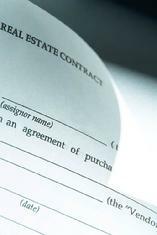 In addition, fees may be charged for extraordinary services such as preparation of Power of Attorney, Use and Occupancy Agreements, post-closing escrow of funds or long distance travel to the closing venue. The base Legal Fee for PURCHASE of residential property ranges from $1,000.00 to $1,200.00 depending on the complexity of the transaction. The firm will also charge for out-of-pocket expenses such as postage, overnight mail, email document production, etc. In addition, fees may be charged for extraordinary services such as preparation of documents such as Power of Attorney or Use and Occupancy Agreements, or travel to out-of-office closings, etc. If you have any questions regarding the PURCHASE or SALE of any residential or commercial real property, please feel free to contact Frederick A. Kiegel, Esquire for a free, no-obligation consultation regarding your matter.